One of my goals for this year is to be more aware of my mental health and really make time for myself. It's so easy to get caught up in all your daily responsibilities that it's easy to let your own self-care fall to the bottom of your to-do list, but I'm really making an effort to cut back on the sweets, visit the gym, talk to a therapist & treat myself to some extra TLC in terms of beauty. Today I'm sharing 3 ways to treat yourself better in the new year! 1. Get moving! OK so if we're being honest, I HATE working out, but after hearing from doctors, family members, etc what a difference it makes in not only your physical body but also your mental health and wellbeing, I went for it and signed up at a gym. It's still not my favorite activity but, to be fair, it's also not really that bad. I'm able to zone out and exercise on the elliptical, rowing machine or stationary bike. It doesn't have to be long either - go hard for 20-30 minutes and you can call it a day! Bring water & your favorite playlist to help yourself through it! 2. 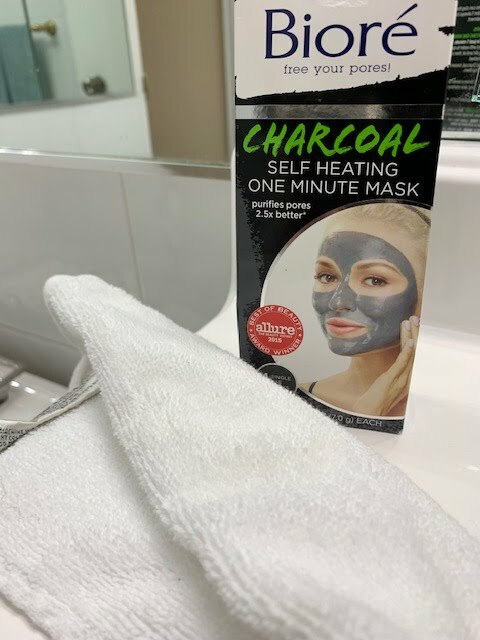 Create an at home spa once a week. This has become one of my favorite night rituals. 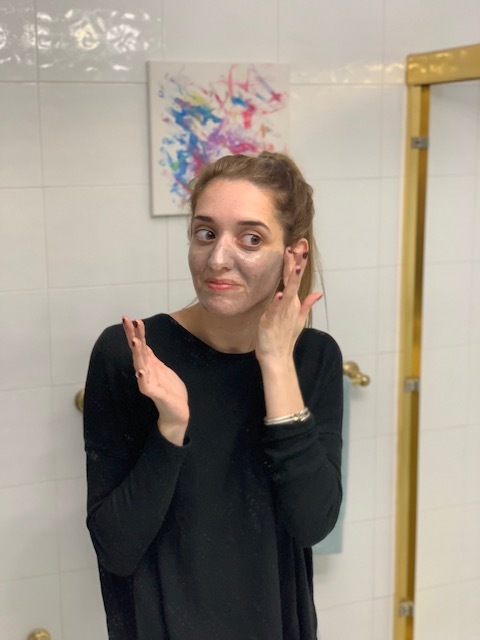 Once a week, I don't make any plans & come home to treat my hair & skin to a little R&R. (This is extra important in the winter when the weather is so cold & dry!) My hair usually turns to straw and my skin gets so scaly and itchy! I've been using John Frieda® Frizz-Ease Daily Nourishment Shampoo and Conditioner since the new year and love how moisturized my hair has stayed. 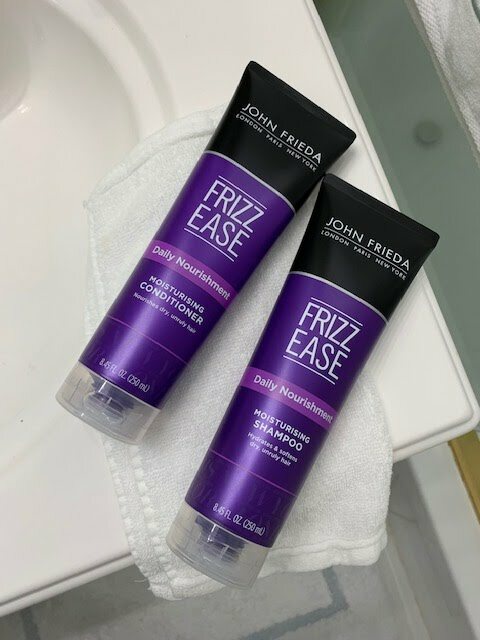 The shampoo and conditioner together have the ability to reverse 75% of surface damage caused to hair and the leave in conditioner helps to protect my hair from heated styling tools. As I cuddle up to watch my TV shows (any one else a huge Bachelor fan?? 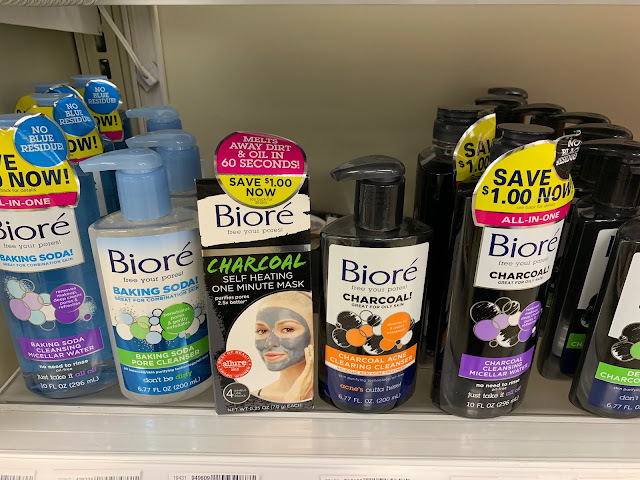 ), I've been applying the Biore® Charcoal Self Heating One Minute Mask. 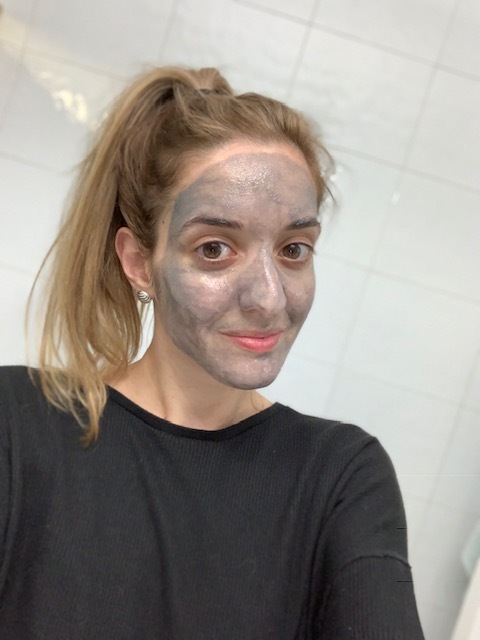 This mask is perfect post shower to help me relax and get all the extra dirt and oil out of my pores after a long day in NYC. It heats up in under 1 minute and then finishes with a cooling sensation. You can buy all of these products at your local Rite Aid. They have so many great wellness & beauty products to help you get started on your new years goals or keep them up. 3. Eat your Greens! I've never been one to diet but I've also never been one to monitor what I eat...at all. I love my sweets and knew that I really overdid how many desserts I ate around the holidays. I've made a goal for myself to try to eat greens in at least one of my meals each day, whether that be a smoothie for breakfast or a salad for lunch or dinner. Heck, I'm even proud of myself when I order a side salad lately. They say that when you feel good, you look good & the sweets were making me feel super sluggish. It's not always easy, but it's worth it. How have you been changing up your routine in the new year? PS. Before you go, I've got a few great Rite Aid deals, especially for my readers! From 1/27-3/2, save over $10 with coupons from brochures in select stores or visit riteaid.com for savings. Also starting 1/27, save 25% off one Biore product and starting 2/10 get John Frieda products BOGO 50%. You couldn't be more right, Michelle....my favorite saying is you can't pour from an empty cup. So taking care of yourself is VERY important!! I love this mantra! I'm going to write it down. I love your goals. It is important to start fresh this year and try new way to treat ourselves. while I cannot cut on sweet blame it on sweet teeth :), I do workout and run whenever I get the chance to do it. If not, i make sure at least to work out 5 -10 minutes a day. I have a huge sweet tooth also! I can't resist, but it's all about balance. These are great tips! Eating greens is not my fave thing to do but it does need to happen. Thanks for the inspiration! Me either, but salads can be fun bc you can mix in other ingredients! I am trying to give myself more face masks and take care of my skin as well!